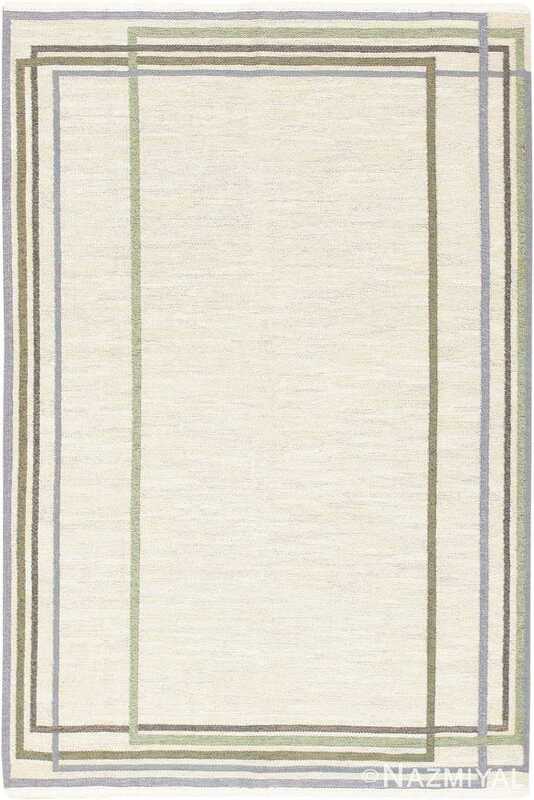 This beautifully understated vintage Swedish rug is a brilliant and powerful example of minimalist design with its deconstructed presentation. Vintage Swedish Rug, Origin: Sweden, Circa: Mid-20th Century – Here is a truly beautiful vintage rug – a mid-twentieth century composition, designed and woven by the enduringly popular rug-makers of Sweden. Boasting a proud and ancient rug making tradition, Sweden became a leading voice in the rug world around the mid 1900’s, generating a hugely devoted following as they began producing a distinctly modern style of rug. These rugs are generally typified by a proclivity for abstract and minimalist design that manages nevertheless to incorporate traditional Swedish ideas and aesthetic preferences. 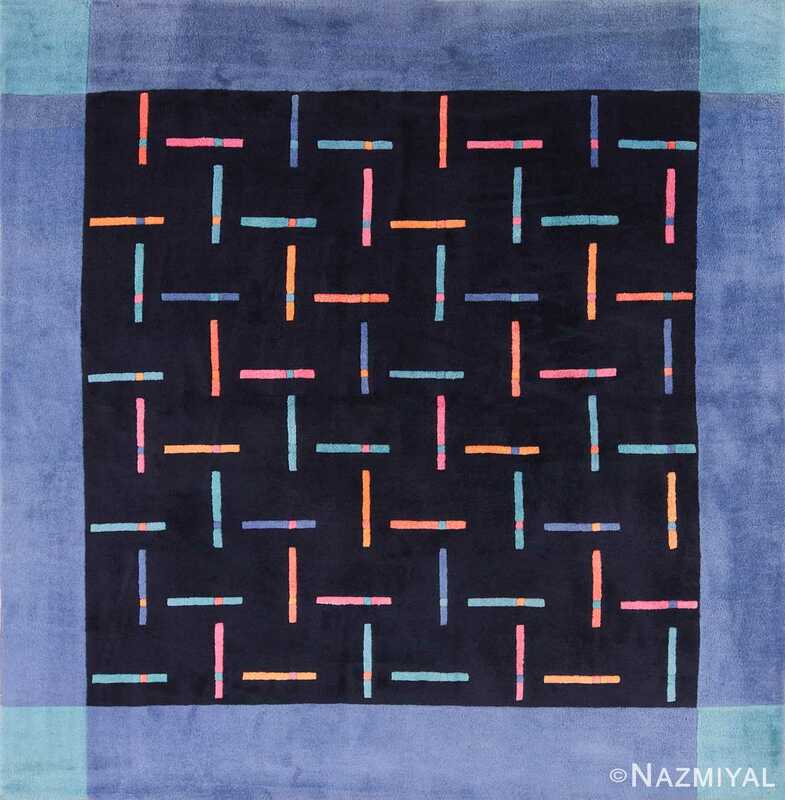 This particular example, which is attributed to Ingrid Dessau, who was one of the most accomplished and popular of all mid twentieth century rug designers, is quite an artistic manifestation of the trend: for while its overall composition could hardly be more understated, there is something reminiscent of more traditional composition woven into the very fibers of the rug. 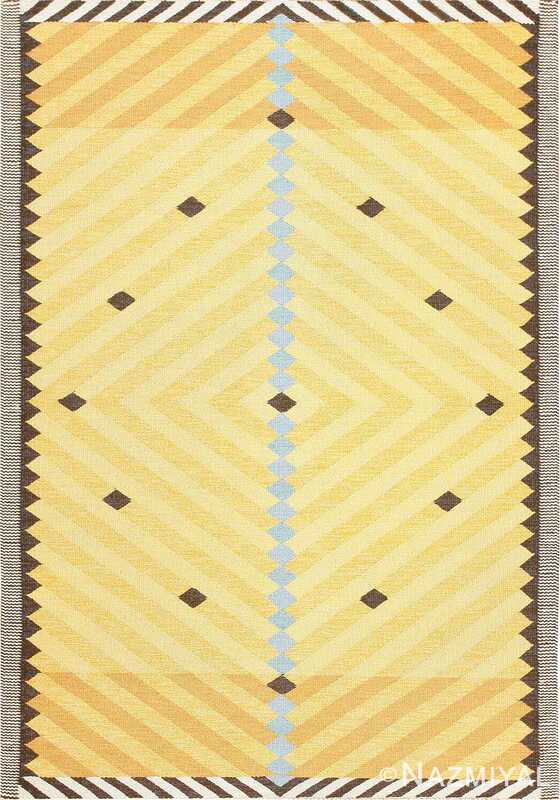 Presented as a series of thing rectangular outlines overlapping one another against a sparse field of ivory, this rug is powerfully communicative, with its straightforward composition inviting observers to look closer and make draw their own conclusions about what they are seeing. The soft, complementary colors of the rectangular outlines, as well as their arrangement along the perimeter of the piece, recall borders; the empty space within recalls a field; thus, there is an underlying idea of more traditional pieces, veiled behind the experimental nature of modern design. This delightful mid-century modern Scandinavian carpet is composed of concentric rectangular figures in a pallet of butter yellows, bordered in bold black and white.